Groomed on the dancefloor of Gatecrasher, Goldenscan are a Sheffield based production outfit comprising of Ed Goring, Mark McCormick and Tom Lindley. Responsible for massive anthems such as Goldenscan’s ‘Sunrise’ and Fu Man Choo’s ‘Outlaw’ they have spent the last two years working under various aliases chalking critical acclaim in underground tracks as well as their familiar floor fillers. Having generated massive support by the likes of Van Dyk, Oakenfold, Jules, Armin, Tiesto, Dave Pearce and Gatecrasher's own residents Scott Bond and Matt Hardwick to name but a few they have appeared on countless compilations through their various guises including Gatecrasher, Passion, Godskitchen, Euphoria and Minsitry of Sound and worked regularly with labels such as VC Recordings, ATCR, Good As, BMG and Lost Language / Hooj. Their tracks have featured on the playlists of major radio stations across the globe and at countless festivals and events. 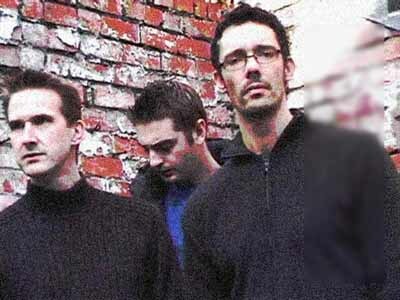 January 2003 should see the release of the much awaited third Goldenscan single ‘Ascension’ through their own label Dubious Recordings. 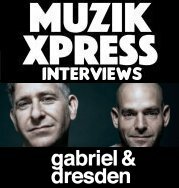 Its previous involvement on Gatecrasher’s ‘Experience’ compilation placed it in high demand and its continued radio support ensures it will be a sure fire winner. Still in the studio the boys have recently completed the forth Goldenscan single ‘Of Our Times’ which has been signed to Lost Language and is due to be given the remix treatment. Their recent mix of the huge Insigma track ‘Open Our Eyes’ has created a storm amongst clubbers across Europe and Australia. Posted by Armin as his ‘Tune of the Week’ (ID&T Radio A State of Trance episode 66) it has gone on to feature globally in his sets and has been much talked about on clublands message boards and chatrooms alike. 2003 will also see a re-release of the awesome ‘Sunrise’ featuring confirmed new mixes from like likes of Pulser and liquidlife. Having recently spread their wings and embarked on breaking the scene as DJ’s (starting with their headlining gig at London’s massive club night Peach) the logical progression should lead them to some of the biggest dancefloors across the U.K and Europe. With their ever increasing studio and DJ commitments Goldenscan seem set to be stars of the future.